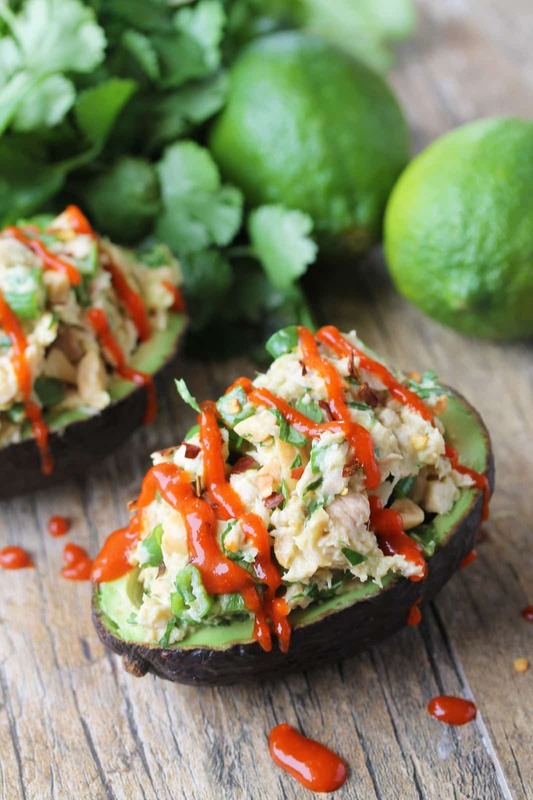 Thai food meets tuna in this healthy Thai-inspired tuna stuffed avocado. 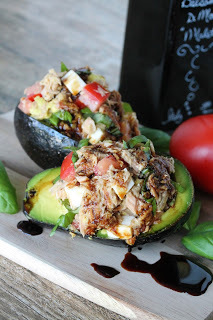 Tuna stuffed avocados are something I eat as a healthy lunch option at least once a week. I’m always experimenting with creating new flavors. 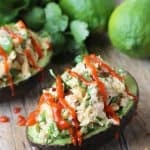 You’ve probably seen my viral recipe for a Mexican-inspired tuna stuffed avocado, and now I’m bringing you an all new one that has quickly become my new favorite. There’s no need for mayo in this tuna recipe! We’re keeping it healthy and tasty. Pro Tip: use a high quality tuna for this recipe like Bumble Bee Solid White Albacore. Trust me, it matters. You can see the difference in quality just by opening the can. 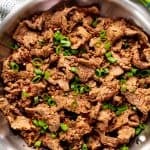 In this recipe I’m flavoring tuna with lime juice, soy sauce, and garlic and am utilizing the tuna itself instead of the staple Thai flavor of fish sauce. The result is a light and refreshing Thai-style avocado that makes an absolute heavenly lunch. Add in the cilantro, green onions, and chopped peanuts and you’ve got yourself quite the little meal. If you are feeling spicy I highly recommend drizzling it with a little hot chili sauce. It packs that extra punch. 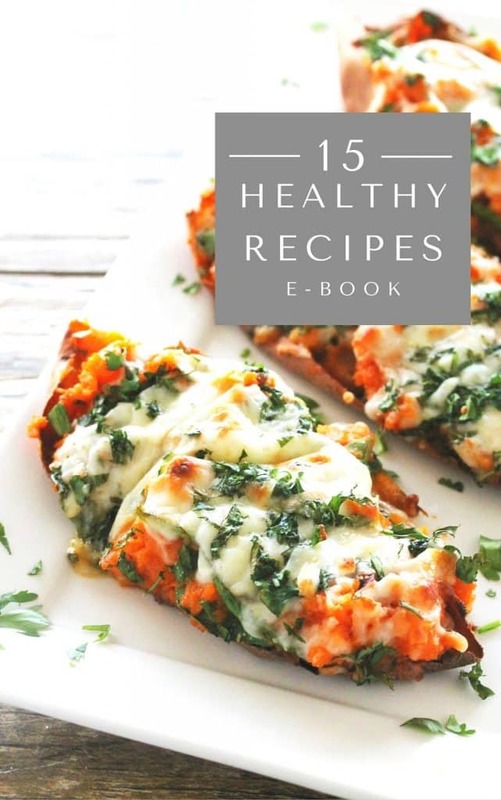 Don’t forget to check out my new e-cookbook with my top 15 healthy recipes in it. 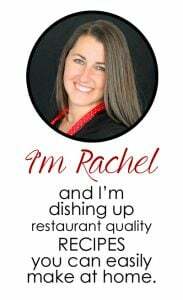 I picked all the good ones, including this one, to give you a great resource for your kitchen. I’ve only included the very best! 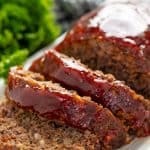 Chipotle twice baked sweet potatoes, superfood protein bars, several easy and amazing breakfasts, fabulously easy low-cal dinner options, and more! 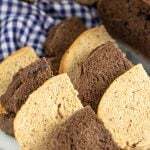 Just scroll past the recipe to buy it or click HERE to learn more. Watch the video to see just how I make this amazing healthy lunch. Use a spoon to hollow out the avocados, creating a bowl effect, leaving plenty of avocado to form edible bowl walls. Place scooped avocado into a mixing bowl and mash with a fork. 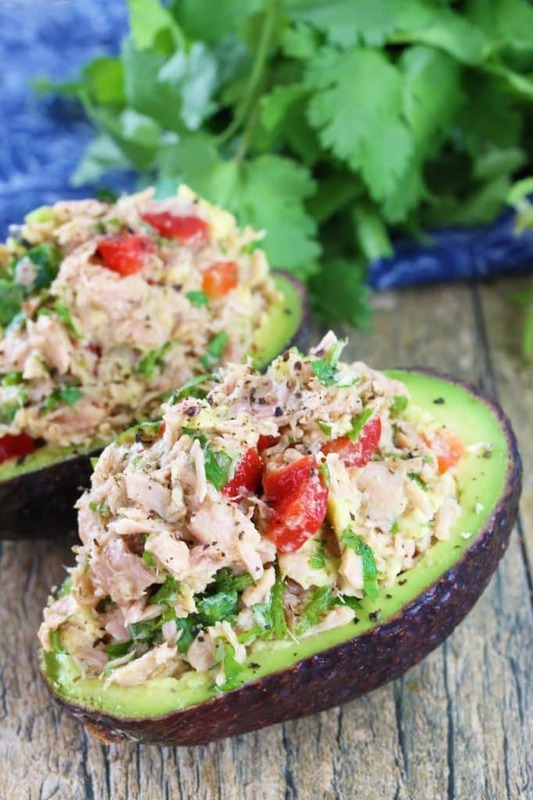 Drain tuna and place into mixing bowl with avocado. Add in lime juice, soy sauce, garlic, cilantro, green onions, peanuts, and red pepper flakes. Stir to combine. Stuff into prepared avocado bowls. Want it spicy? 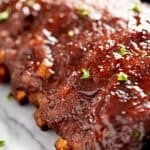 Drizzle with hot chili sauce and serve. 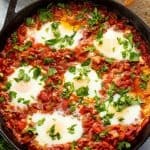 15 of my very best healthy recipes! 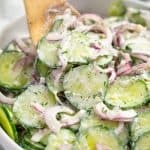 They are so easy and delicious, you’d never even know they are healthy! 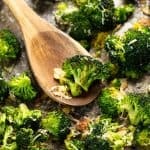 Nutrition information included for every recipe. You’ll love it! 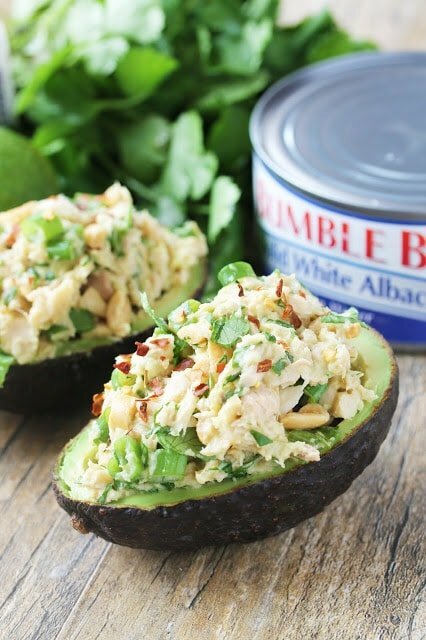 You should also check out my other Tuna Stuffed Avocado recipes! This was delicious! I’m looking for ways to get more potassium, but omg, the thai twist made this a huge treat! A little twist on the drizzle: panang curry paste mixed with water and a touch of honey. Easy and amazing. Will make these again. 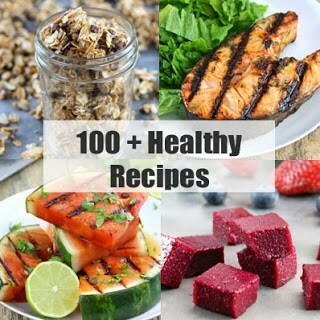 It’s the hyperlink associated with the 100+ Healthy Recipes graphic. 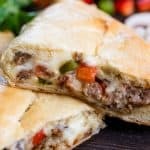 I was looking for something tasty and light for dinner tonight. Can't wait to taste this. What a great idea — and the image made me want to take a bite out of my monitor. Brilliant concept — we adore tuna but this moves it out of "same old/same old." Thanks. I have everything already to make this and I seriously love thai flavors, tuna and avocado! This is going to be lunch! Avocados are a staple in our house and I love the idea of Thai version of a stuffed avocado!